Jyotsna Yogi, pretty, elegant and angelic born in Kathmandu is a nepali model and actress. Jyotsna started her acting career from Sushmita KC's movie "Ma Ta Timrai Hoon" in which she is appearing as a lead actress opposite to new actor Aakash Shrestha. The movie is releasing on Shrawan 7, 2073 B.S. Before landing into nepali movies, Jyotsna has done several music videos, adverts for NCell, Kuber Jewelers, NepaCrafts, Face of RedVelvet, Juju Wears Nepal, Yamaha Alpha, on Saya’s cover (novel) and she has also been featured on the cover of Vida Magazine, Wedding Bells, M&S (twice), White Tara, Barnan Cosmetics etc. Her best nepali actor and actress are Gaurav Pahari and Priyanka Karki. She also wants to work with Gaurav Pahari in future. Some of her best nepali movies include Kabaddi, Jhola, Gajalu and Zhigrana. Interests/Hobby: Poetry (in writing), Shooting, Travelling a lot, Dogs. Inspiration in Life: Appreciation and Constructive criticisms by your own and everyone. Who she want to work with in Nepali Movies in future? What I’d like to share is try and help stray dogs as much as you can in your own ways. You could feed them everyday because a pack of biscuits costs Rs. 15 only or adopt them or neuter them. Seeing half dead dogs on the roads is a heart wrenching sight and I’d want people to be nice to such kind hearted beings and help them. Also, do not abandon your dogs or cats or any other animals just because they’re getting old or caught a disease or their hair is shedding. They take you as their own blood. They’re loyal to you than your real blood. So, please do not abandon, do not chain them every time, do not abuse them, do not hurt them, they cry in a worse way than we do. 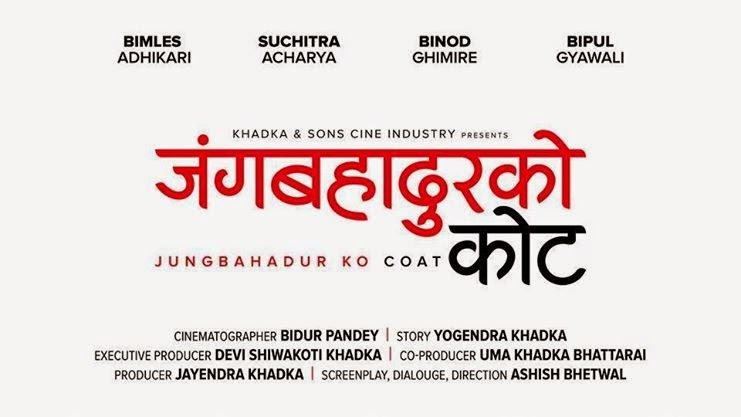 Any suggestions for the improvement of Nepali Movies? As a beginner, I experienced certain things where certain people are still not professionals yet. Being an expert and being professional are two different things and I see how they get confused over it. I see people’s seriousness over a project which is very good, they are all dedicated but, professionalism still lacks a bit.